How do I know if my card is activated? If you received your card in the post then it is already activated and you can use it straight away. How do I get a BITE card? See the Where to use it page here. Which bars and pubs can I use my card in? 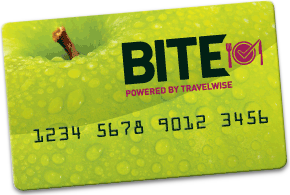 Here’s a list of our current bars and pubs in UK rail stations that accept the BITE Card. Can I use my card in airports? Not at the moment but this is something we are working on. Why do I need to create a password? So we can set up an account for you. This will allow you to access your own details and keep them up-to-date. No, but please check on the website from time to time so you are up-to-date on the terms and conditions. We will contact you if any major changes occur that effect the use of your card. Are there any items that are exempt from the 10% discount? Yes, please visit the Terms & Conditions page for more information. How can I unsubscribe from the Bitecard programme? How can I find out what personal information you hold for me? You can send us a personalised question here.